At least 4 cities make history by electing first women mayors. 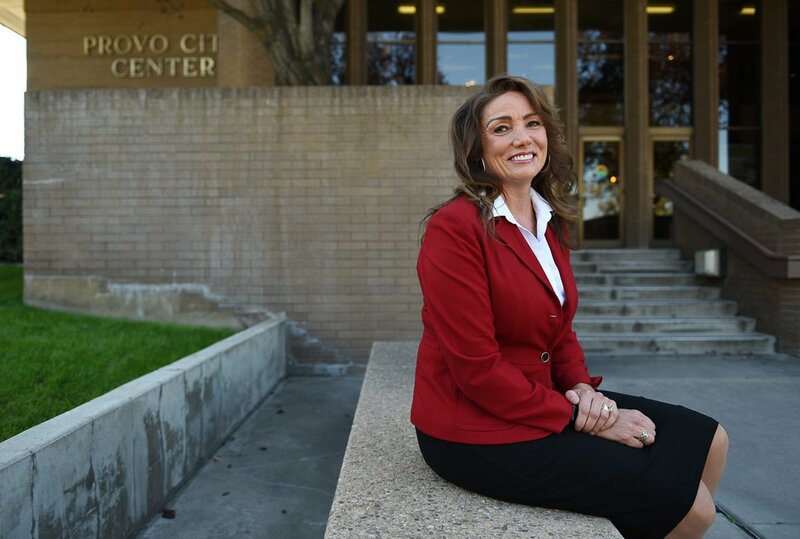 (Francisco Kjolseth | Tribune file photo) Michelle Kaufusi will become Provo City's first female mayor in its 157-year history on Tuesday. Utah County will make the biggest leaps in gender equality across the Wasatch Front come January, with a 15 percent increase of female mayoral leadership. This year’s election brought historic wins for women across the country — including in Utah’s Wasatch Front, where at least four cities elected their first female mayors. Overall, women across Salt Lake, Davis, Weber and Utah counties will gain 6 percent more council or mayoral positions come January, holding a total 27 percent of all seats. And with at least a half-dozen vacant seats across the Wasatch Front, that number could increase slightly next year. That still puts Utah behind the national average of about 30 percent of women represented in municipal government, according to Utah Valley University’s 2017 Utah women in politics brief. But Erin Jemison, the staff lead for the YWCA on Real Women Run programming, said increasing numbers of women in Utah’s city governments may be a sign of more change to come. Real Women Run is a Utah-based nonpartisan initiative that looks to increase the number of women involved in politics at all levels. Jenney Rees, Cedar Hills’ mayor-elect, also said the rising numbers of women campaigning and becoming elected could be a good sign for the future. Utah County will make the biggest leaps in gender equality across the Wasatch Front come January, with a 15 percent increase in female mayors. Prior to the election, the county had one: Woodland Hills Mayor Wendy Pray, who was appointed when Mayor Steve Lauritzen died of cancer in April. Now, women also will serve in the top city spots in Cedar Hills, Provo and Vineyard. Salt Lake County has the most female mayors: four, or 25 percent of the total. Jemison said it’s important to elect women because they tend to reach across the aisle, compromise more and come up with different solutions. But someday, she said she hopes voters don’t have to think about gender at the ballot box. Katie Witt, Kaysville’s newly-elected mayor, said the changes in representation may reflect evolving attitudes toward women in politics. (Courtesy Dawn Ramsey) South Jordan Mayor-Elect Dawn Ramsey has dedicated her life to volunteer work. Come January, she will shift into a new role as the city's first female mayor in its history. When Dawn Ramsey decided to run for mayor, she’d never worked in South Jordan government or held elected office. But she’d dedicated her career to volunteer work, so she felt prepared to make a bid for the city’s top elected position — a seat no woman has held in the 82 years since its incorporation. She added, however, that she is “honored” and “humbled” to be elected as the first in a historic race. 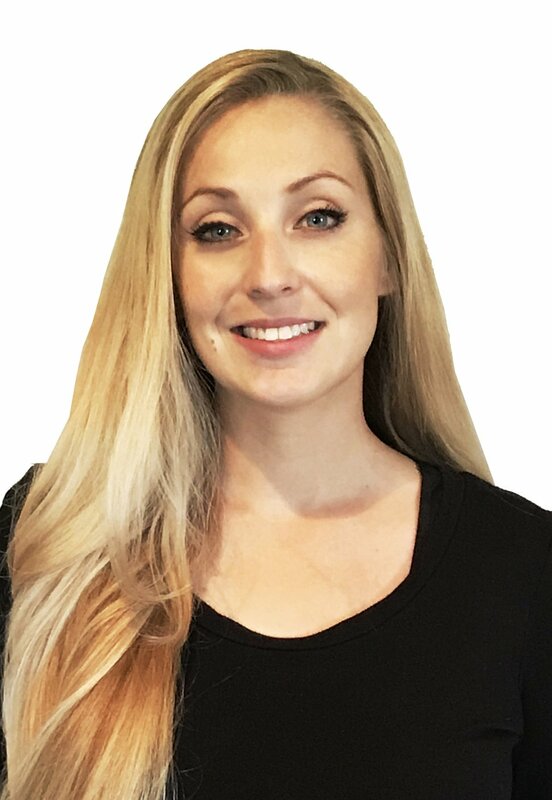 Ramsey has worked as the regional Parent Teacher Association director for the Jordan School District for four years and as a member of the executive committee of the board of directors for the Jordan Education Foundation. She also has had experience running nonprofits for almost 20 years. Ramsey said she wants to spend the next four years representing South Jordan at a “higher level,” preserving the city’s green space, working with the Jordan School District to ensure students continue to get an “excellent education,” and managing the city’s rapid growth and transportation issues. (Courtesy Julie Fullmer) Vineyard Mayor-Elect Julie Fullmer is the first woman elected as mayor in the city’s history. She said she hopes to continue managing the city’s rapid growth while working to streamline methods of communication with residents. When Julie Fullmer and her husband moved to Vineyard in 2011, they were two of nearly 150 residents. Six years later, the city has ballooned to nearly 11,000 people — and as 2016’s fastest-growing city or town of any size in the state, there’s no sign it’s slowing down. Fullmer has long been involved with the community. She worked on the city’s planning commission for nearly two years and its city council for four. Fullmer is the first woman elected as mayor in the 28 years since the city was incorporated and said she hopes to continue managing the area’s rapid growth while working to streamline methods of communication with residents. “Really, my vision and why I think I’m really excited about where we are is that we’re just the perfect location for unique commercial [development] that can come in,” she said, adding that she views Vineyard as a “hub” for Utah County. Fullmer, 32, and her husband own a marketing firm called Outwit Media. She is currently a student at Utah Valley University. (Francisco Kjolseth | The Salt Lake Tribune) Michelle Kaufusi will become Provo City's first female mayor in its history on Tuesday. Utah County will make the biggest leaps in gender equality across the Wasatch Front come January, with a 15 percent increase of female mayoral leadership. 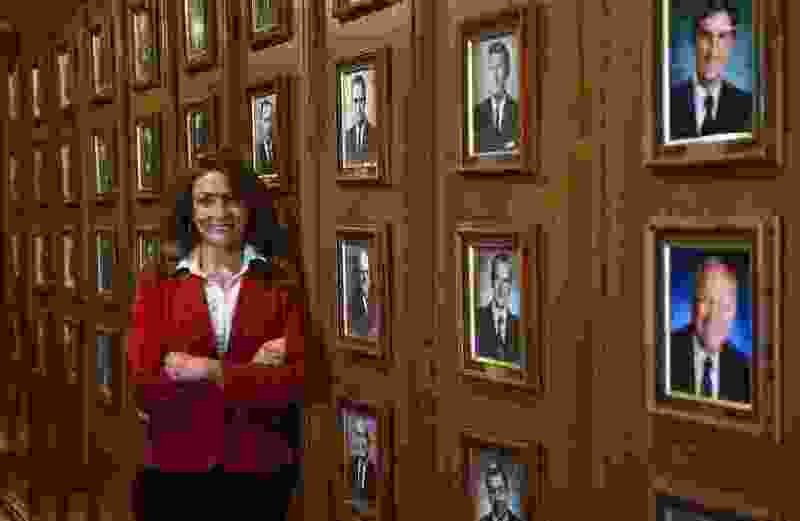 After more than 100 years of male mayors, it was time for a change of leadership in Utah’s third-largest city, said Michelle Kaufusi — and she felt she had the experience to fit the bill. Kaufusi, who was born and raised in Provo, has a degree in geography from Brigham Young University with an emphasis in global studies and local government. She served for five years on the Provo School Board, part of that time as president. There, she helped pass the largest school bond in the organization’s history in 2014 to rebuild several schools. Former Provo Mayor John Curtis was recently elected as the new representative for the 3rd Congressional District, and Kaufusi will be sworn in early as interim mayor on Tuesday. After that, she said she’ll begin focusing on issues ranging from fixing sewers to planting trees and managing growth. (Courtesy Michelle Tait) Harrisville Mayor-Elect Michelle Tait has lived in the city for 23 years and recently became the first female mayor in its history. Moving forward, she said she hopes to foster community in the city and work on managing its growth to maintain rural space while also considering the tax base. In January, 23-year Harrisville resident and nearly decadelong councilwoman Michelle Tait decided she was ready to take on a new challenge. She’d felt pulled to city government for a few years but had decided to focus instead on her career with the U.S. Postal Service, where she has been a rural letter carrier for 33 years. 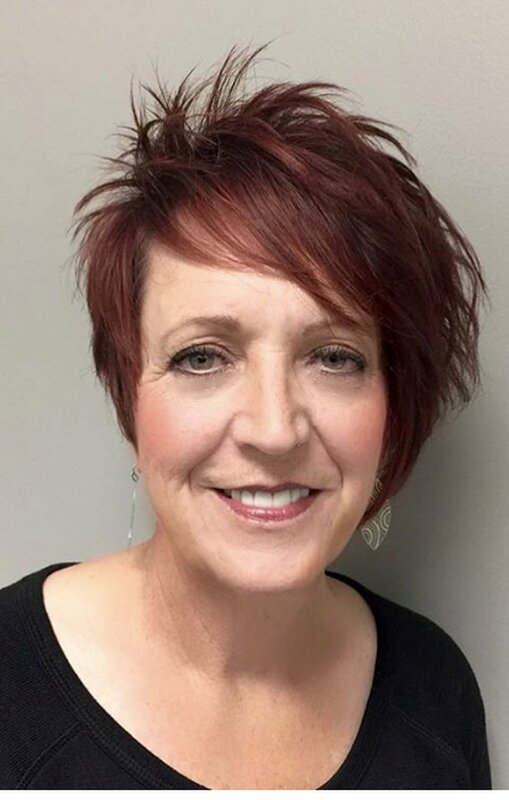 She moved up the ladder as the state secretary treasurer of the National Rural Letter Carriers Association to vice president and president of its western states area. Now, she will serve as Harrisville’s first female mayor. She said she’ll work on managing growth in the area to maintain rural space while also considering the city’s tax-base needs. Overall, she said she’s looking forward most to working with the residents.